Free printable dinosaur themed lowercase alphabet pdf chart to Print. A to Z letters in lowercase with fun pictures of dinosaurs. Free dinosaur letter chart for kids. 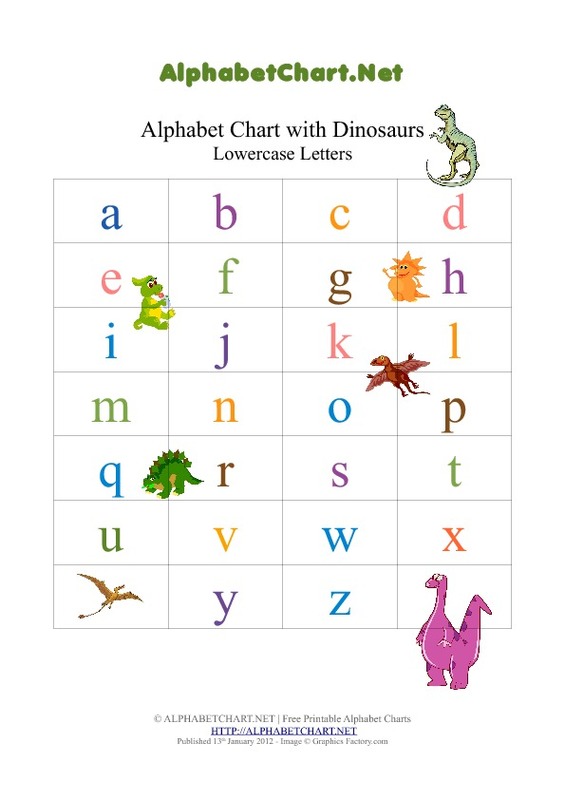 Download and print our free pdf chart with alphabet letters and dinosaurs. This chart contains pictures of dinosaurs.